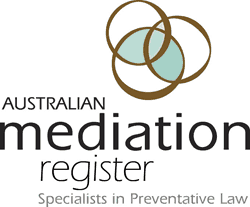 This premier course provides the opportunity to obtain the necessary basic process and skill components of mediation training to become Accredited in accordance with the Australian National Mediator Standards, via a 5 day format or 6 days should you wish to seek accreditation. The Face to Face NMAS Course offers you the opportunity to obtain the necessary basic mediation process knowledge and skills to become an Accredited Mediator. All in accordance with the Australian National Mediator Standards. Increasingly mediation is the preferred mode of dispute resolution. Moving disputes away from adversarial processes and into more interest based, collaborative systems. Our Course will provide you with the skills, knowledge and experience to enter the mediation profession and effectively mediate disputes. Use such skills as an adjunct to your current profession. Salvaging relationships. Opening lines of communication. De-escalating conflicts. Reaching workable agreements. The success of any mediation is predicated on the skills of the mediator. The course is offered in collaboration with the Australian Mediation Association. This premier Face to Face NMAS Course provides the opportunity to obtain the necessary basic process and skill components of mediation training. 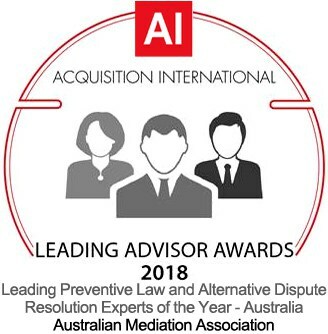 Skills which will help you become Accredited in accordance with the Australian National Mediator Standards. In this popular program, you will acquire the practical skills and techniques for facilitating negotiations between disputing parties. You will discover effective ways to settle differences and mediate disputes across a variety of contexts. From family and employment matters to public policy and business disagreements. This program provides you with core mediation skills and hands-on experience as a mediator. This mediation training course is for all forms of mediation except Family Dispute Resolution. Read more about the Face to Face NMAS Course here. CHC81115 Graduate Diploma of Family Dispute Resolution delivered in partnership with the RTO, College of Education Services, provider code: 22487. © 2019 Mediator Training Academy All Rights Reserved.